Mick Finlay was born in Glasgow and grew up in Canada and England. He now divides his time between Brighton and Cambridge. 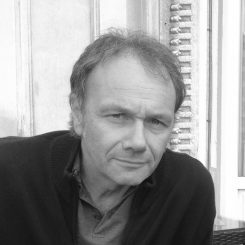 Mick teaches in a Psychology Department, and has published research on political violence, persuasion, and verbal and non-verbal behaviour. Before becoming an academic, he ran a market stall on Portobello Road, and has worked as a tent-hand in a travelling circus, a butcher’s boy, a hotel porter, and in various jobs in the NHS and social services. 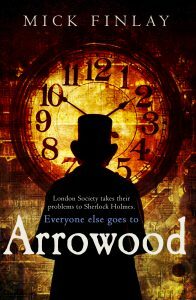 He writes historical crime fiction, and his first novel ‘Arrowood’ is published by HQ (Harper Collins) in the UK, Mira in North America, and Harper Collins in other European territories. The sequel ‘The Murder Pit’ will be published in 2018.